Unfortunately, this issue is sold out. Sign up for a digital subscription to enjoy this and other out-of-print editions of Foam Magazine. This issue is themed around the Myth, a subject that has been important in the visual arts as long as we know. The seer is a visionary, creating ways of understanding or framing things that at first appear otherworldly, impossible or irrational. Their interpretations enter our systems of belief and understanding. Who is the author: the seer who creates the stories or the believer who adopts and acts upon them? The photographer has the ability to transform and create connections through envisioning stories from ancient times to contemporary life. Through a process of endless repetition and re-interpretation it becomes a timeless given: a myth existing at the junction where fact and fiction collide. And at the end, we believe what we see, or do we? Filip Berendt, Joseph Beuys, He Bo, Persijn Broersen & Margit Lukács, Tacita Dean, Martin Gusinde, Andy Kassier, Nicola Lo Calzo, Osborne Macharia, Orpheus Standing Alone, Christiane Peschek, Igor Samolet, Scarfolk, Jeff Wall, Patrick Willocq and Tereza Zelenkova. Mariama Attah, Taco Hidde Bakker, David Bate, Marine Cabos, David Campany, Iliana Cepero, Jörg Colberg, Caroline von Courten, Dominik Czechowski, Tacita Dean, Mark Alice Durant, Marcel Feil, Joan Fontcuberta, Louis Kaplan, Kim Knoppers, Mirjam Kooiman, Magali Nachtergael, Sharon Sliwinski, Katrina Sluis, Clare Strand, Drew Thompson, Daria Tuminas, Ytasha L.Womack. Foam Magazine has been awarded several prizes for both its high-grade graphic design and the quality of its content. Most recently, Foam Magazine was awarded Photography Magazine of the Year at the Lucie Awards 2017. 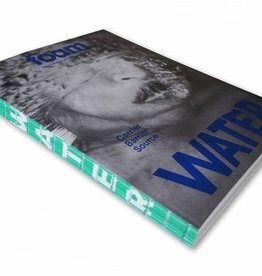 Foam Magazine is an international photography magazine published three times a year by Foam Fotografiemuseum Amsterdam. The annual Foam Magazine Talent Issue and the related Talent Programme are supported by the Deutsche Börse Photography Foundation and the Niemeijer Fund. Foam Magazine is sponsored by Igepa Netherlands BV, supplier of excellent paper.